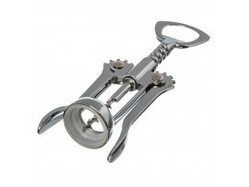 - Wing Corkscrew is a standard model corkscrew with an easy-open design. The wing corkscrew works by turning the screw into the cork and then pressing down upon the raised levers to extract the cork. We deal in Cork Screw. 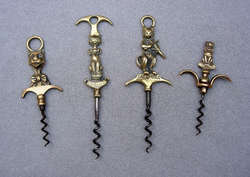 Harmonizing with the upcoming developments in this domain, we are engaged in providing Square Bar Corkscrew. This range is durable in nature. Perfect addition to our wine themed items! We listened to your demands and are excited to offer these to you!